🕕Not To Mention You'll Be Able To Take Care Of Any Outdoors Task. The adjustable size makes this one of the handiest single tools you can have! Order reached quickly, well packed. Not a bad thing, but hlyupinkaya, the fishing worms dig goes. 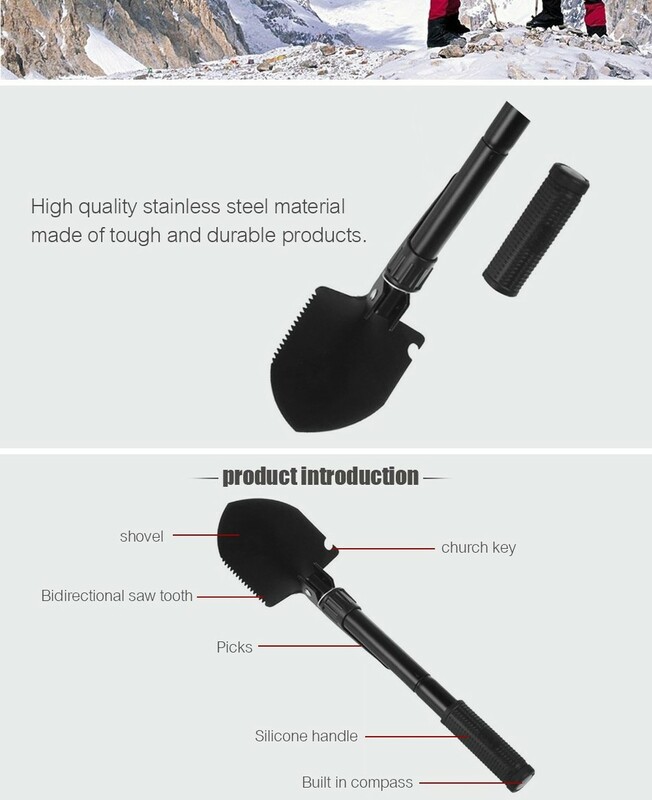 Can't grumble for the price - came quickly, has its own bag and built in compass in the handle. Very compact. I did find the painted surface on the spade scratched a little too easily during certain use, but pretty robust and practical. Fast shipping 2 weeks to Moscow. Fits the description, fishing is what we need. I will use the proct in my vacation outdoors, I will enjoy it.